Hey dolls!!! So last night I had the opportunity of attending Big Girls Rock 2, which is a fashion show that benefits cancer and brings awareness. 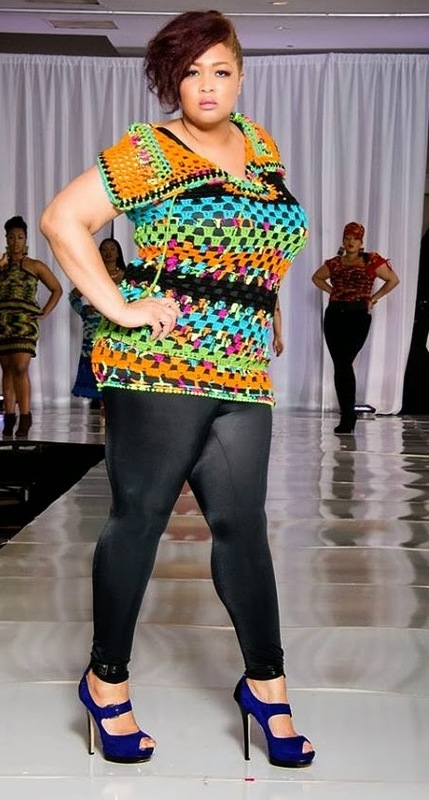 The show happens every year in Houston and brings together plus-size models, boutiques, clothing lines, and vendors to showcase the best of the best in the plus-size world. Last night the event featured hosts Seven the Poet and Nikki P and Houston's own female DJ "DJ Supastar". A Houston Designer, Jaque' of Houston, whose inspiration is fashion from the 40s and 50s. A New Orleans based designer, Lady Crochet, whose apparel is all crocheted by hand! And last but not least, styles from Ashley Stewart's Spring Collection! And here's what I wore! I had an awesome night out attending a plus-size fashion event in Houston. I will definitely be bringing more information about fashion events around Houston and the deets of me attending them. Stay fabulous!